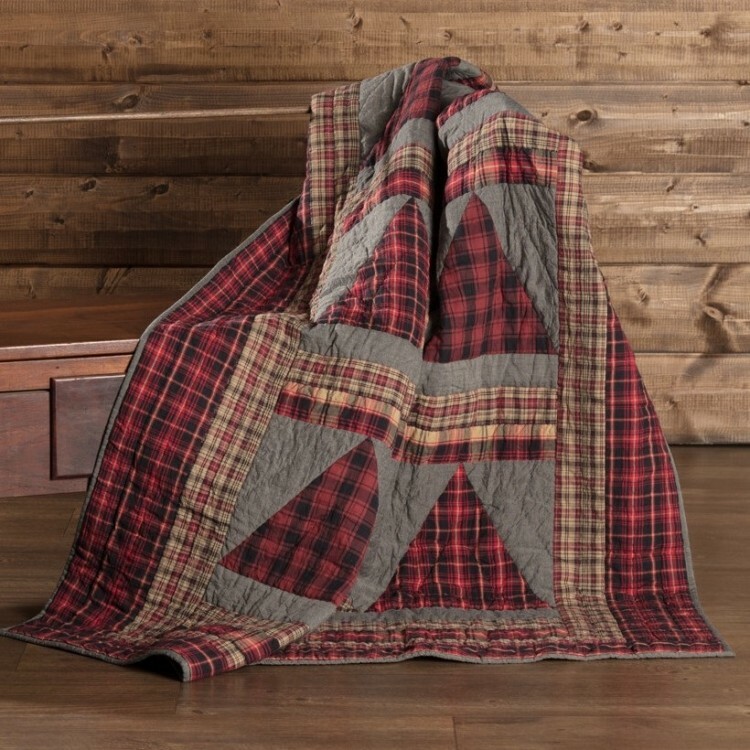 With solid and plaid triangle patches reminiscent of a mountain range, the Andes Quilted Throw builds on winter themes with rustic overtones. Grey chambray mixes with plaids and echo hand-quilting for extra detail. Reverses to grey chambray. 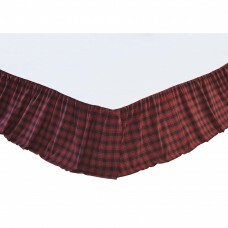 Back features a rod pocket to allow for hanging as a decorative wall tapestry. 100% cotton. 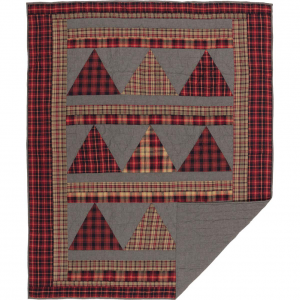 Throw measures 60" x 50".